St Wilfrid’s church hall is now available to hire at an hourly rate or discounted fee for regular bookings. Having been given a new look, you can look forward to hiring a warm, welcoming building with kitchen facilities. It can seat up to 100 people fairly comfortably or 120 people standing. It is currently in regular use by various groups, including dance groups who enjoy the solid wooden floor of the main hall. 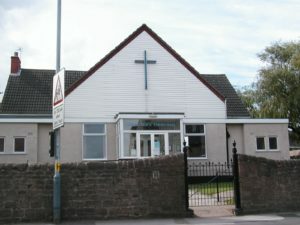 Numerous other church and local community groups regularly enjoy the facilities too. There is ample room in the hall to hold a children’s party, giving space to play without the risk of damage to your home. It can also provide an ideal environment to hold baptism or wedding parties. Parking is readily available at the church, only a few moments walk from the hall. For enquiries about costs and availability please email stwilfridshall@gmail.com.